The letter did not say whether the agreement in place since 2017 between the Organization of the Petroleum Exporting Countries (OPEC) and other large oil producers led by Russia to cut output should be extended or not. 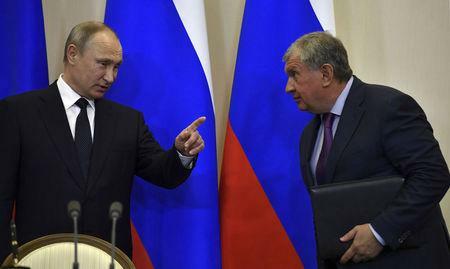 There is no guarantee Putin will back Sechin's view because the president sees the pact with OPEC as part of a much bigger puzzle involving dialogue with OPEC's leader Saudi Arabia over Syria and other geopolitical issues. The so-called OPEC+ deal has helped oil prices double to more than $60 per barrel.